III. Trying the Hummus - We will have four different recipes and recipe ideas for the partygoers to try! IV. 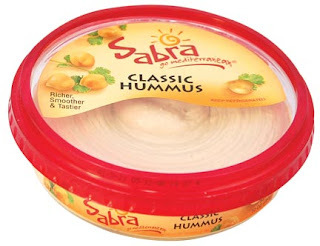 Brainstorming about Hummus - How Can People Use Hummus in Easy, Everyday Recipes? We plan to come up with at least 20 different ways and to post these ideas on Facebook, tweet these ideas, and gather additional ideas from others through these social networking websites. Then, we will post pictures on our website, blogs, and Facebook profile. In addition, we will interact with others through the #SabraParty hashtag and the Sabra Twitterfeed - http://twitter.com/SABRA.